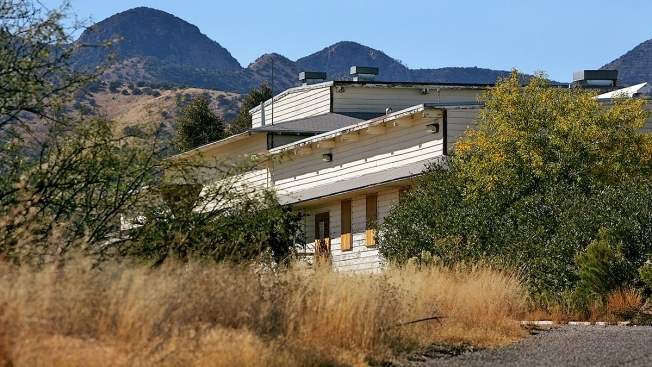 In this Thursday, Nov. 11, 2004, file photo, the Mountain View Officers' Club, built in 1942, is shown, at Ft. Huachuca, Ariz. The structure is the last of over 14,000 wooden structures built at the fort to house, train, and care for black soldiers preparing for World War II. Once slated for destruction, efforts are now underway to restore the building to its WWII condition. Grants totaling $1.1 million will help support important African-American heritage sites including the homes of jazz musician John Coltrane and playwright August Wilson, a Virginia location central to the slave trade and civil rights locations in Birmingham, a preservation group announced Friday.